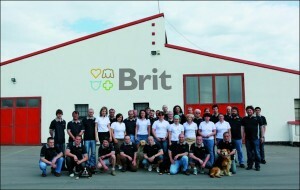 VAFO PRAHA is a Czech manufacturer of premium and super premium pet food with the brand name Brit. The family-run business with a 18-year tradition produces and distributes products to 45 countries throughout the world. Its basic know-how comes from its many years of practical experience in the business and from themselves being breeders responsible for the top quality of their pet food. The main priority is to produce pet food that meets the most demanding quality requirements. Annually, the company manufactures some 36,000 tons of pet food in two modern production facilities in the Czech Republic. The company philosophy is to produce food with love and care and fulfil its goal, “prevention by nutrition”. VAFO PRAHA’s main distinction is its comprehensive approach to product development, including marketing, formula development, design, and logistics. The company offers a complete range of pet food products, including Grain free, Hypo-allergenic, Low grain and Size matters. The wide range of meats such as lamb, salmon, duck, turkey, tuna and venison offers a diverse range of flavours. The original combination of functional ingredients – prebiotics, salmon oil, organic micro-elements and herb and fruit extracts – improves the nutritional value of the company’s products. Thanks to years of expanding its know-how in the areas of product policy, sales strategy, human resources, technology and communications, last year VAFO PRAHA increased its total sales volume by 44.8%, which according to a study by Plimsoll Global Analysis is many times more than the industry average of 6.2%. 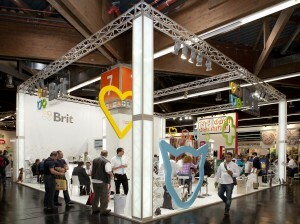 At the same time, company main brand Brit reached a presence in 45 markets worldwide. 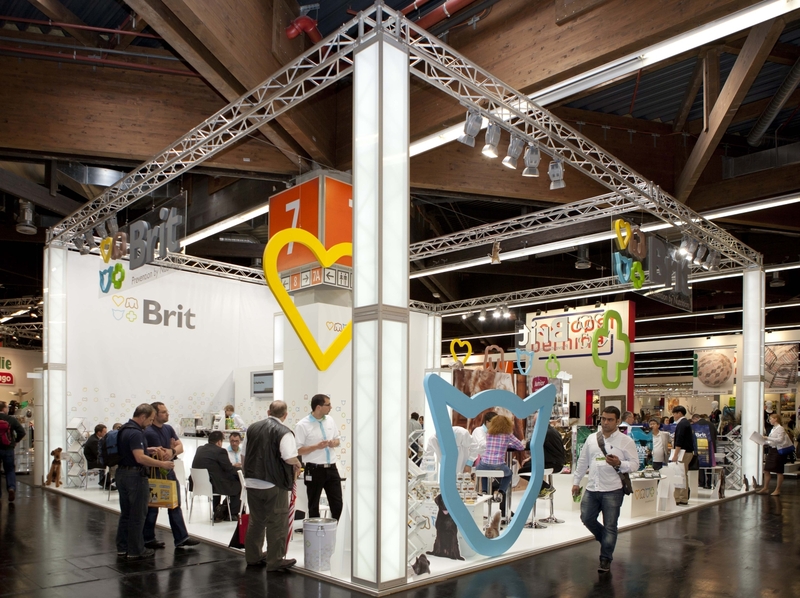 At the Interzoo 2012 international trade fair, VAFO PRAHA introduced several interesting new products reflecting the latest trends in modern pet food. VAFO PRAHA was one of the first European producers to introduce a super premium line (Carnilove) with a meat content of more than 70%. The recipes are developed in harmony with the animal’s natural dietary needs, without any grains. Added fruit content (pomegranate, grapes and cranberries) represents a natural antioxidant defence. The combination of an exclusively high volume of easily digested proteins and beneficial nutrients guarantees your pet’s vitality and good health. Another new product made in harmony with nature is the Brit+ series of vitamin supplements containing extra herbs such as Echinacea and evening primrose and natural extracts such as aloe vera and green-lipped mussel. These vitamin supplements have a positive impact on the animal’s general physical condition and overall immunity. They support physical processes during difficult periods of increased activity, old age, pregnancy or postoperative convalescence, and also have preventative effects or can reduce the impacts of genetic diseases. The comprehensive Brit Softies line of functional treats is a modern expansion on traditional meat treats. These semi-soft snacks have proven themselves not only as a tasty reward but also help to improve the quality of your animal’s skin, fur, physical condition and bone structure. In addition to canned meat for cats, VAFO PRAHA is introducing the Brit Care Cat Pouches line of meat pouches, made using select human-quality meat. The use of top quality ingredients ensures the anti-allergenic nature and high digestibility of all five different flavour varieties. Brit also has a new line of products for dogs, Brit Sausage, which combines real chunks of meat with a light pâté. The high meat content (95%) ensures great taste and excellent digestibility. The wide range of diverse flavours offers a welcome diversification of your dog’s diet and is a fitting complement to dry food. Put simply, Brit’s new products continue the company’s focus on flavour and the health of your pets.